Pro-Sound NYC announces the Nemesis CCS-2 computer control switch, a fully programmable KVM switch, MIDI message generator and control solution for dual-redundant playback systems. The CCS-2 allows simultaneous control of two systems, and flexible switching of main and backup playback. It also has the added benefit of dual input/output DVI/VGA/USB KVM switch. The Nemesis CCS-2 has a MIDI message generator for software control, dual-redundant power supplies, and is compatible on both Mac/PC base platforms. mind that the show will go on. 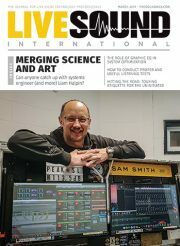 Pro-Sound NYC is the exclusive distributor for Nemesis in the USA.